Failed presidential candidate Hillary Clinton praised the UK’s National Health Service (NHS) for the “excellent care” she received after breaking her toe – just two days before it was revealed that only ONE of the socialised medicine’s hospitals across the country had hit key treatment targets. 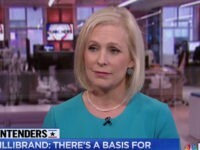 The Democrat, who had expressed support for single-payer socialised medicine to be implemented in the United States, broke her toe whilst on her What Happened book tour in the United Kingdom, leading to her cancelling several media engagements. The former Secretary of State under Barack Obama fell down a flight of stairs, allegedly after becoming distracted. 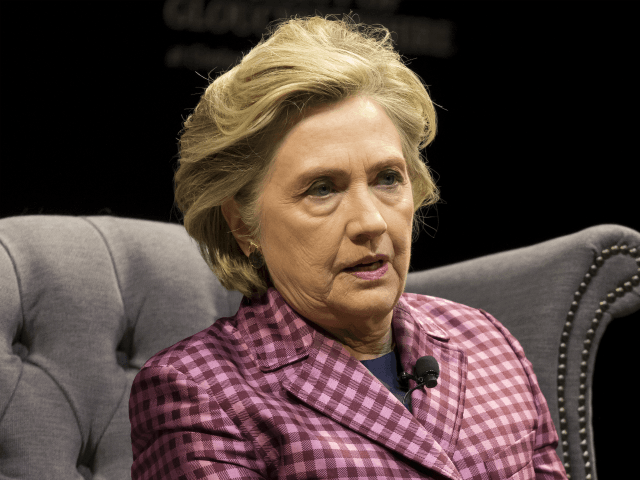 The incident recalled the number of occasions during the 2016 presidential race when Clinton was seen to fall and stumble, prompting questions over her health. “I was running down the stairs in heels with a cup of coffee in hand, I was talking over my shoulder and my heel caught and I fell backwards,” she said on the BBC’s Graham Norton Show which will be aired Friday night. Though details of her treatment were not revealed, it is unlikely the high-profile former New York senator had to wait four hours in Accident and Emergency for her treatment – the maximum waiting time pledged that the government-run service is expected to meet. On Wednesday, BBC research exposed that waiting times for cancer treatment (no more than 62 days) and A&E waiting times have worsened across the UK, with the broadcaster noting that “planned operations now being missed en masse”. Only one NHS hospital across 135 hospital trusts in England and 26 health boards in the rest of the country – run by Luton and Dunstable NHS Trust – managed to hit all three targets each time over the past 12 months. The chances of not being seen within four hours at A&E has doubled and nearly one in five cancer patients now wait longer than 62 days for cancer treatment, rising by a third, in four years. The taxpayer-funded NHS has also announced it will ban surgery indefinitely for smokers and the obese, with smokers being breathalysed before referral to prove that they have not smoked in eight weeks. President Donald J. Trump campaigned on a pledge to repeal and replace the Affordable Care Act, known as Obamacare, which has been plagued by continued premium increases. In October 2016, then-vice presidential nominee Mike Pence told Ohioans that Clinton had long-pushed for a centralised healthcare system in the U.S., reminding voters that before there was Obamacare there was ‘Hillarycare’. Last week, President Trump signed an executive order ending subsidies for Obamacare and opening up the health insurance market. Cutting off the “gravy train” to health insurance companies, the president urged Republicans to move quickly to come up with a plan to replace it.